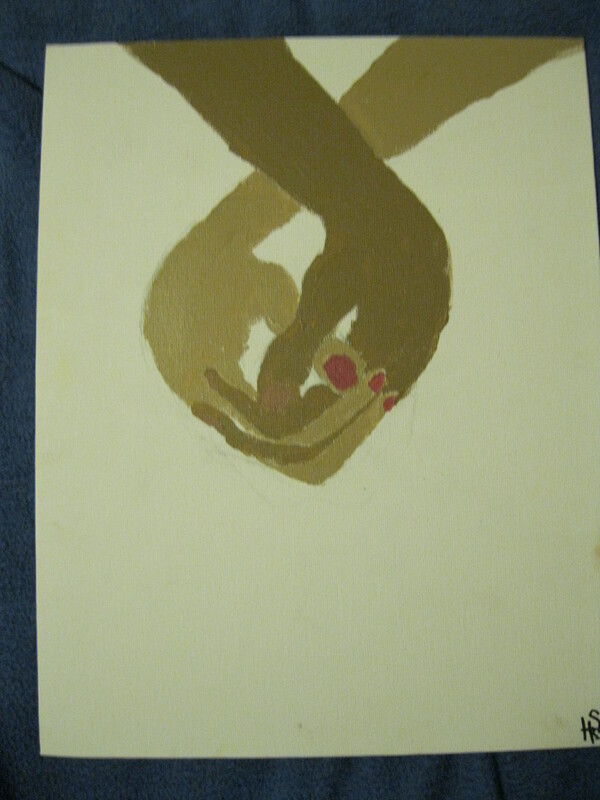 I made this in IB art. This is probably my favorite one, and is definitely the one I’m happiest with the results of. 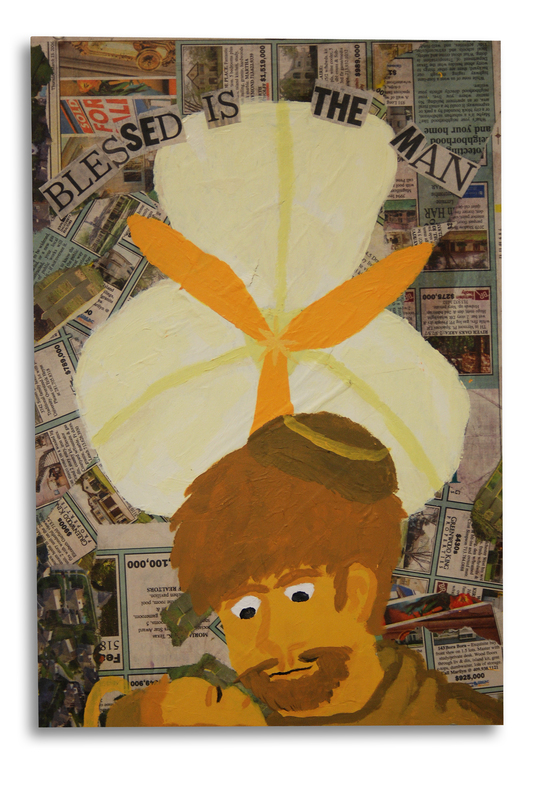 This is a mixed media ikon of St. Joseph and the Baby Jesus. It’s done in monochrome, and was loosely inspired by both folk art (obviously) and the artwork of William Blake (not so obviously). The background is a collage of homes, furniture, and other things related to wood working, because Joseph was a carpenter. These images were modge-podged onto a 12×18 inch piece of yellow sign board. I painted it in layers, which is technically how you’re supposed to do things, but I didn’t know that when I first started. I’m very proud of how the lily came out- I spent a good 3 days (approximetely 4.5 hours) getting it just right. It has many different shades of yellow-white, and it was a good piece on its own. I wish that Joseph and Jesus had come out looking more realistic, but I’m satisfied with how they look. “Music in full bloom” is definitely not Helen’s best piece but is still a fun and overall cute idea. 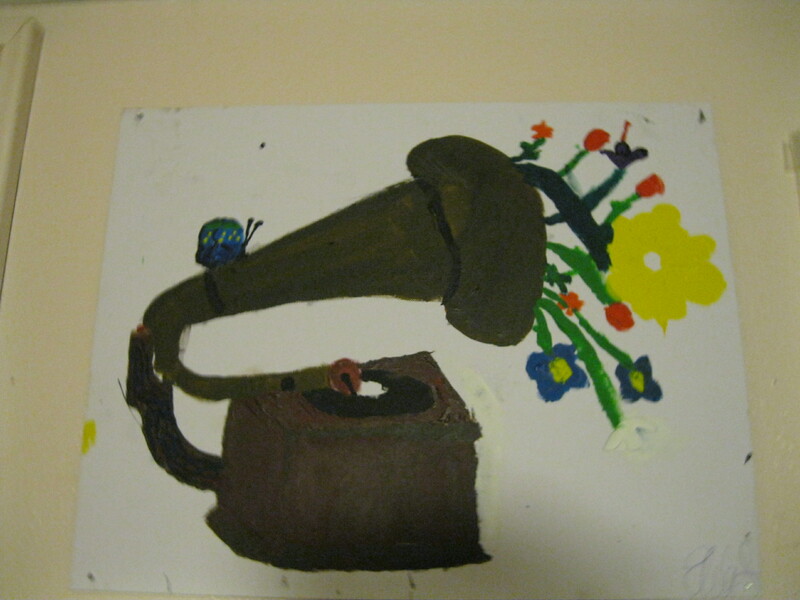 An old phonograph with flowers coming out of the speaker well as a butterfly on the tube. 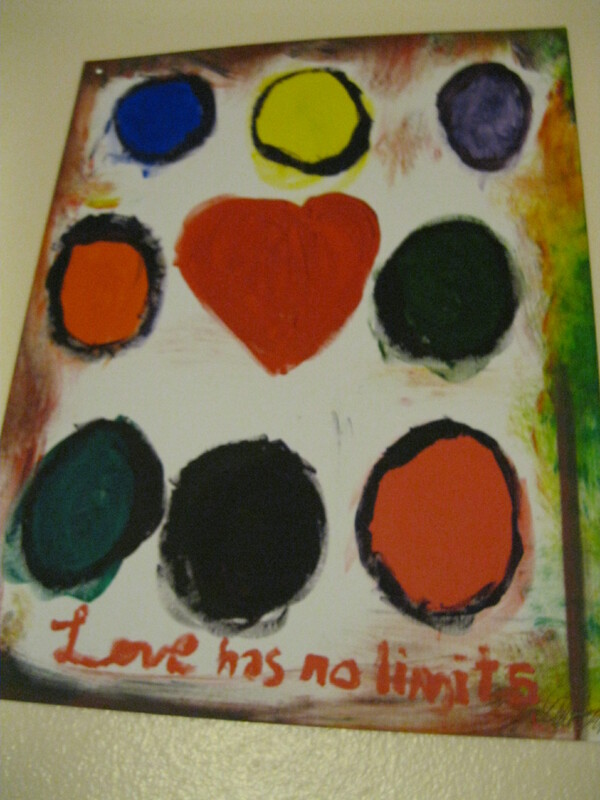 “Love has no limits” was Helen’s first painting, it’s not quite her romantic style but these bright circles individually wrapped up in their own little world pop and make this piece very pleasing to the eye. “I love rubber duckies” is cute and childish. 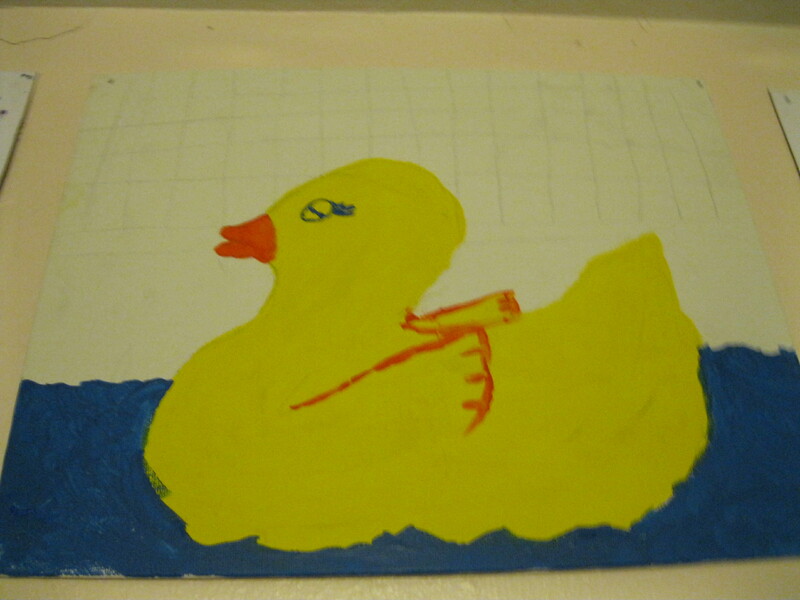 When you were little everyone would play with those adorable and cheesy yellow rubber ducks in the bathtub, admit it you did it too. 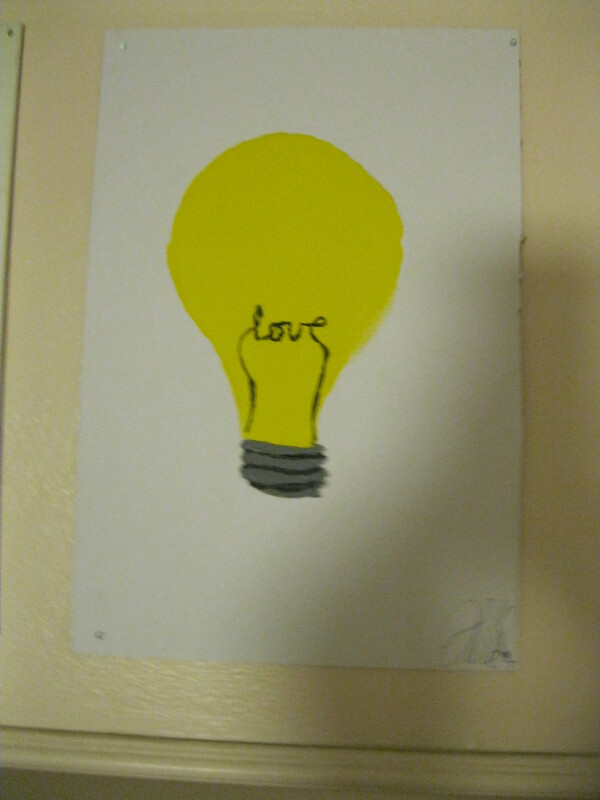 “Love turns on the light” is a simple design and not a new idea but the painting is just quaint and cute. The rain may be poring down but this girl’s beauty and plain love radiate a certain sheil from the rain and darkness encroaching around her. 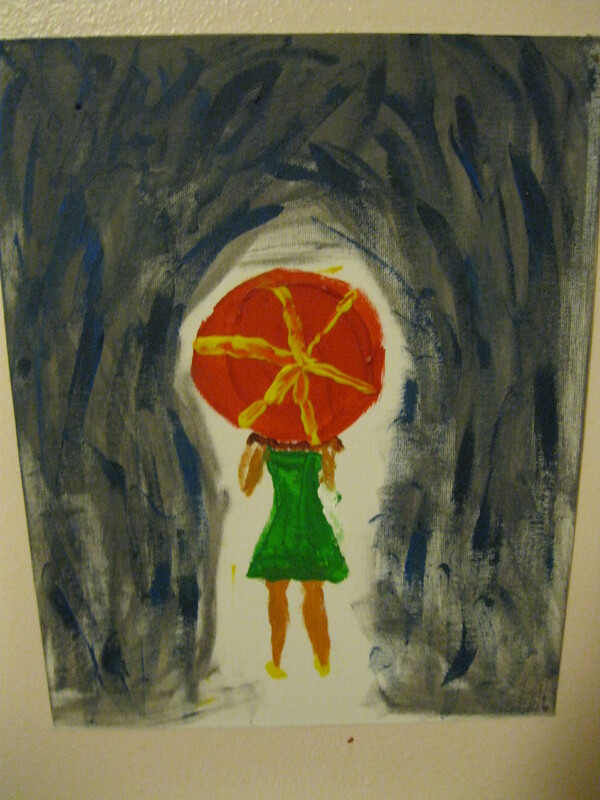 This is the scene in “Rainy day”. A simple touch, an innocent gesture sending tingles up your spine. “I’m holding your hand” has great detail on the hands, with so much logic, yet, it makes no sense, it’s like being trapped inside a dream.